It is easy for a doctor to initially miss or delay a diagnosis of Congenital Sucrase-Isomaltase Deficiency (CSID), especially if the patient has mild, nonspecific symptoms. There is an expression in diagnostic medicine that when you hear hoofbeats, look for horses not zebras. What that means to a doctor is when one sees a cluster of symptoms, one looks first for a more likely diagnosis before looking for a less common one. That is why a correct diagnosis of CSID may be delayed, while the doctor runs a number of tests to rule out other more common causes of severe, chronic diarrhea and other gastrointestinal (GI) symptoms. Most individuals who have CSID begin their diagnostic journey in the office of their pediatrician or primary care physician. Typically, these doctors will suspect the diagnosis is one of several more common conditions that cause diarrhea. These can include the catch-all diagnosis, toddler’s diarrhea, which is the name for chronic, nonspecific diarrhea. Other common diagnoses include irritable bowel syndrome, a condition possibly related to intestinal inflammation that can cause either chronic diarrhea or constipation; the presence of intestinal parasites (organisms that can infect the intestines); or other intestinal infections. When treatments for these more common conditions, such as antibiotics, do not relieve the symptoms, doctors often will refer the patient to a gastroenterologist, a physician who specializes in ailments of the digestive system. The gastroenterologist will usually begin with a routine analysis of the patient’s well-being, including a physical examination, history of medical conditions, symptoms or complaints, family history, and dietary history. The physician may order a series of tests to determine the exact diagnosis. With rare diseases, this type of discovery process is often necessary to first eliminate the possibility of more common conditions. 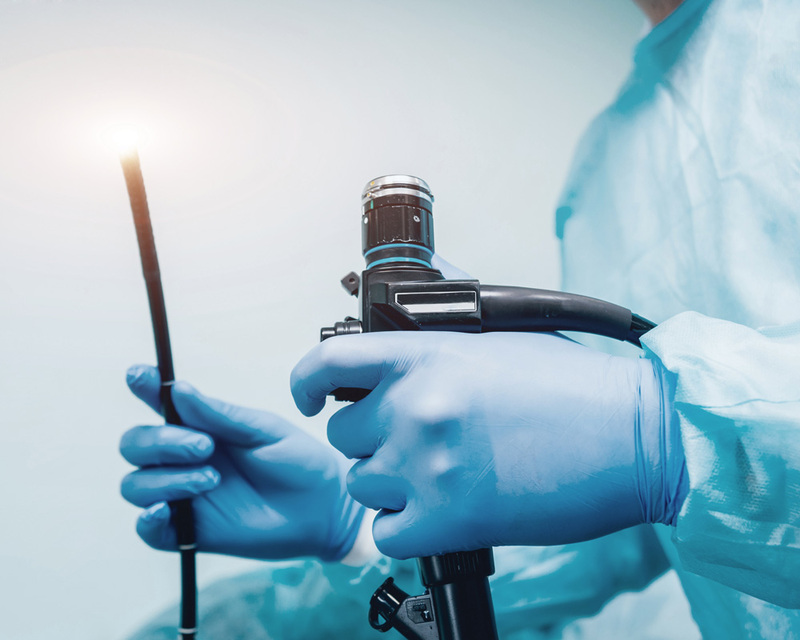 The ordered tests could include a procedure that involves the insertion of a scope, an instrument that makes it possible for the gastroenterologist to visually examine the lining of the intestinal tract. This procedure is called a gastrointestinal endoscopy. If CSID is suspected, the doctor may obtain a few very small tissue samples (biopsies) from the wall of the intestine while conducting the gastrointestinal endoscopy procedure. The gastroenterologist will then send the tissue samples to a special laboratory that can determine the level of activity of the enzyme sucrase-isomaltase, which is either absent or not working properly in individuals who have CSID. The name for this test is the disaccharidase assay via a small bowel biopsy. A disaccharidase is one of several enzymes (for example, sucrase-isomaltase, lactase, and maltase) that break down complex sugars that contain two sugar units (disaccharides) into two simple, one-unit sugars (monosaccharides). For patients suspected of having CSID, the enzyme of interest is sucrase-isomaltase. If the disaccharidase assay results show that the level of sucrase-isomaltase activity in the tissue samples was low in comparison to the level of enzyme activity found in a normal population, the diagnosis of CSID is confirmed. Historically, the disaccharidase assay has been considered the gold standard for assessing one’s level of sucrase-isomaltase activity and diagnosing CSID. However, obtaining the tissue samples for the assay requires the invasive endoscopy procedure. In addition, the results of this assay are based on a few tissue samples from one’s intestinal wall and may not reflect the true level of sucrase-isomaltase activity throughout the intestine. Regardless, a diagnosis of CSID is based in part on a careful review of the patient’s medical history and any clinically observed signs or GI symptoms, particularly long-term and frequent symptoms of gas and loose or watery stools (diarrhea). Other tests that aid in the diagnosis of CSID include two simple breath tests. Both tests can help to determine if the enzyme sucrase-isomaltase is working by examining one’s exhaled breath. The first is called the carbon-13 (13C) sucrose breath test, because one consumes a sugary drink of sucrose that contains a natural, stable version of carbon, called carbon-13. If one has little or no working sucrase-isomaltase enzymes in their intestine, there will be less carbon-13 gas exhaled than if working sucrase-isomaltase enzymes were present. The carbon-13 breath test is thought to directly measure sucrase activity and is the most definitive method to aid in diagnosing CSID that does not require an invasive procedure to obtain tissue samples from your intestine. The second breath test is called the sucrose hydrogen breath test or hydrogen-methane breath test, which measures the amount of hydrogen gas one exhales after consuming a simple sugary drink. In this test, there will be higher than normal levels of hydrogen gas in your exhaled breath if there are little or no working sucrase-isomaltase enzymes in your intestine. There may be other reasons why one has higher than normal levels of hydrogen gas in one’s exhaled breath, so this second breath test may not be as accurate in detecting CSID. An even simpler test that may indicate the possible presence of CSID is called the 4-4-4 oral sucrose challenge test. A fasting patient simply drinks a well-dissolved solution of 4 tablespoons of table sugar in a 4-ounce glass of water. If sucrase-isomaltase activity is diminished or absent, within 4 hours the patient will experience the GI symptoms associated with CSID, such as gas, bloating, abdominal distention (swelling), or diarrhea. This test is not appropriate for infants, young children, geriatric patients, and those with co-morbid conditions like diabetes. Patients may have severe symptoms if they are very sensitive to sugar. A physician should be consulted before this test is taken. Finally, a physician may try a therapeutic trial of sacrosidase enzyme replacement. If it is clinically inappropriate or difficult to obtain tissue samples from the intestine or if a diagnosis of CSID is suspected but not confirmed, a short two-week trial period with an enzyme replacement therapy may be warranted. Patients with CSID should respond very well, with significant relief of their GI symptoms. For more information on diagnostic tools for CSID, call 1-800-705-1962.